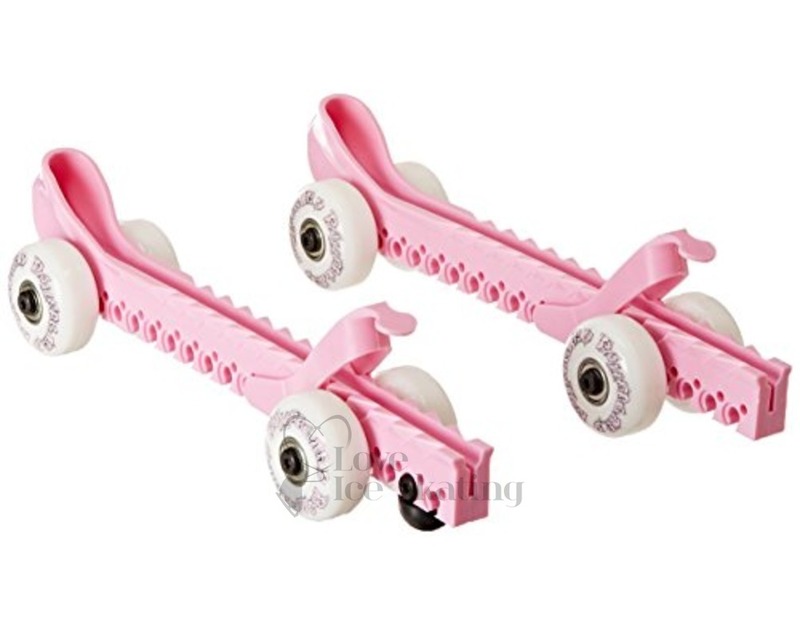 This innovative rolling skate guard which was first invented for hockey skates allows the skater the option of roller skating on their ice blades when they are done at the ice rink.
. Parents of small kids can now arrive at the rink at their practice time, what a time saver. 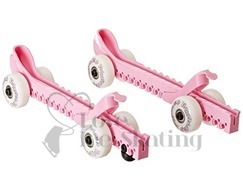 The Rollergard is built to last with durable non-marking wheels, ABEC 5 bearings, and lightweight plastics. 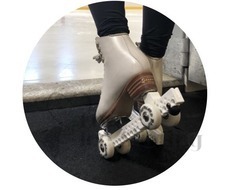 Improve your skating stride and endurance at the same time. The Rollergard is a great addition to any skater's bag. 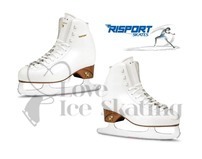 Skate into the rink, out of the rink, and anywhere that has smooth hard surfaces. The Rollergard uses indoor/outdoor wheels with an 89A durometer. 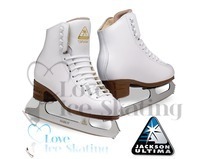 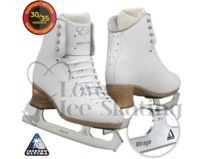 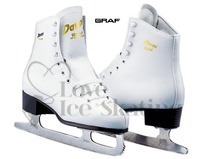 One Size Fits all lenghts skates! 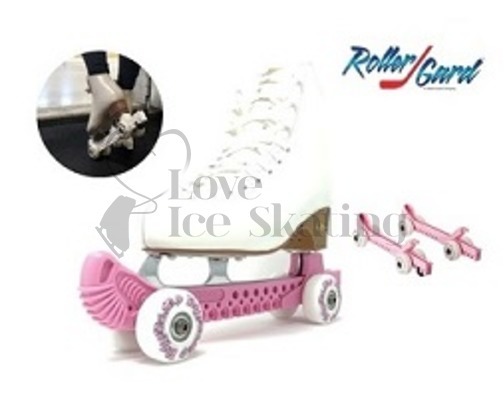 You'll be amazed at how much more you get out of your skates once RollerGards transform them for use off the ice. 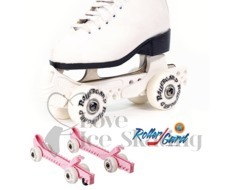 Durable, non-marking indoor/outdoor wheels, ABEC 5 bearings and lightweight plastics are just a few of the engineering features that make RollerGards superior to other skate guards. Our patented design also keeps your blades from ever touching the bottom of your RollerGards, so your skates stay sharper longer.